“Home is where your dog is.” It’s just one of the lessons that author Megan Edwards has learned living life on a roll. Her adventure began when a firestorm roared out of the hills above Pasadena, California, in October 1993. Her home was among over 200 destroyed by the blaze. 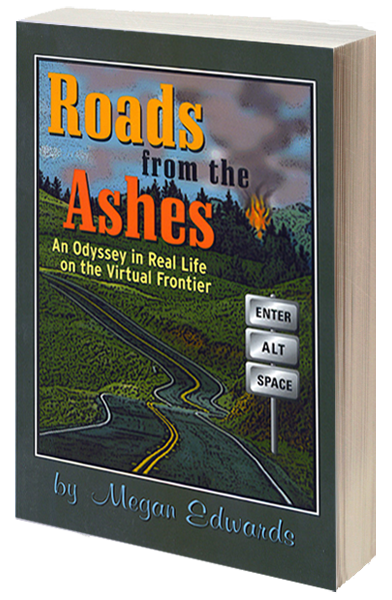 “From the mountains to Manhattan, this tapestry of life on the road weaves the best of travel, technology, survival skills, and relationships into an engaging work of art.